Lavender is renowned as a culinary herb for its clean, distinctive perfume and matching floral, ever-so-slightly-minty flavor. It's also one of the hardest seasonings to cook with, because of its potential to easily overpower dishes. Discover flavor pairing secrets and learn the professional tricks to cooking with lavender. Make sure to buy culinary lavender buds specially marked for cooking. Lavender plants at the local nursery may look appealing, but they can be laden with pesticides and other undesirable chemicals. If given a choice, always go organic when choosing culinary flowers or grow your own. Truth be told, most people prefer English lavender for cooking because it's less potent and sweeter. The most widely available species of English lavender is Lavandula angustifolia, and two popular varieties used for culinary purposes are Munstead and Hidcote. French lavender is a hybrid plant that goes by the scientific name Lavandula x intermedia. If you want the true Provence lavender experience, the best variety to look for it, unsurprisingly, is Provence. It's widely regarded as the best French lavender for culinary uses. The lightest dusting of lavender goes a long way in the kitchen. Use fresh or dried buds but beware: The essence gets stronger and more concentrated as it dries. Use a very light touch or risk infusing the entire dish with bitterness or an oddly soapy flavor. 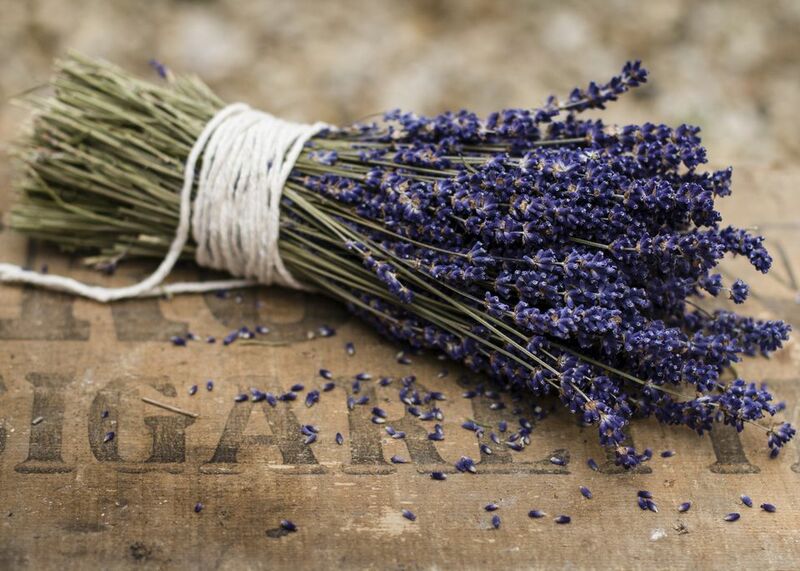 When cooking with dried lavender, use only 1/3 of the amount if the recipe calls for fresh buds. Example: 1 1/2 teaspoons fresh = 1/2 teaspoon dried. Lavender's sweet, fragrant flavor complements a range of foods, both sweet and savory. Ingredients lavender goes well with include strawberries, blueberries, pears, lemon, orange, honey, sage, rosemary, oregano, thyme, black pepper, and chocolate. Lavender is used in the renowned French herb blend herbes de Provence. Recipes vary but often include marjoram or oregano, basil, savory, rosemary, and thyme in addition to lavender. Baked goods, salad dressings, beurre blanc, ice cream and sorbet, Provencal-style soups and stews, and dry rubs are all good uses for lavender buds. For sweets: Lavender's floral notes play well off berries and citrus in baked goods. Instead of adding small amounts of the actual dried flowers to recipes, try using lavender-infused sugar for enhancing sweet dishes with just the slightest hint of floral goodness. Tone it down by infusing the dried flowers into cream for ganache, whipped cream, crème brûlée, and crème anglaise, or into simple syrup for iced tea or a variety of desserts and cocktails. For savories: Lightly toast dried lavender in a dry skillet set over medium heat, constantly stirring, to deepen its complexity and remove the perfumed notes. Taking away the one quality that makes lavender so distinctive doesn't dull its unique flavor at all but rather gives diners the experience of wondering just what that wonderful flavor is instead of biting into a mouthful of floral perfume.